Since Howard is a lawyer I want to make it clear that his answers are given in response to my questions only and are not to be construed as legal advice to any specific situation. With that little caveat out of the way, let’s get right to it for Part One of Ten Questions With… Howard Zaharoff. HoGo: What other less obvious issues are at work that may need to be addressed by copyright law reform and that individuals and businesses should be aware of? Howard Zaharoff: Educators, news reporters, documentary filmmakers, private users and many others depend on the "fair use" privilege to avoid infringement. But now, except in the most obvious cases, it is almost impossible to determine if a particular use is fair or infringing. For a while it seemed the judicial concept of "transformative" use would simplify fair use analyses; but this concept has itself morphed into an "eye of the beholder" device that merely serves to rationalize judicial biases. It’s time for a fresh approach. Another critical concern is "orphan" works, the billions of letters, memos, manuscripts, videos, photos, drawings and the like which are still under copyright and still have utility, but where the owners aren't known or findable. Congress has come close to resolving this (as nearly did the original settlement in the Google Library case). Unfortunately, parts of the creative community, fearing another IP land grab, have forcefully opposed most solutions, so the problem remains unresolved. Someone needs to fix it. HoGo: Can you copyright an idea? Howard Zaharoff: No. Copyright protects "expression," not "ideas." Copyright gives authors and artists fairly exclusive control over the words, images, sounds or other means they use to express themselves. So once you've written down your idea, the words you use, assuming they're yours and not copied from someone else, are protected by your copyright and cannot be copied or adapted without your permission (with limited exceptions, such as "fair use," discussed above). However, the idea underlying your expression—for a pet rock, a novel about a boy wizard's adventures in wizard school, a TV show where celebrities participate in dance competitions, etc.—is not protected by copyright and is generally free for others to use, unless protected by a confidentiality agreement (a.k.a. "NDA") or patent. For more on this issue, see my article "Protecting Your Ideas." HoGo: Suppose I create a copyrighted work—screenplay, song, story, software program etc.—with another person and without putting anything in writing. Who owns the copyright, and what can either of us do with this work without the other's permission? Howard Zaharoff: When two or more people work together to create a work of authorship, with each contributing something copyrightable (e.g., not just ideas) and intending that the contributions be merged into a unified work, they are joint owners of the copyright. Absent a written agreement, each will have a non-exclusive right to use and exploit the work and to license it for others to use, subject to sharing any profits earned from that exploitation with the other copyright owner(s). HoGo: There's a school of thought that current law works best to protect the IP of big business. Do you agree with that idea and, if so, what can be done to help smaller organizations and individuals such as consultants and artists operate more on par with larger organizations? 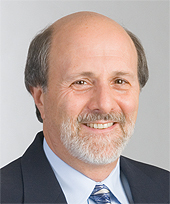 Howard Zaharoff: This may be true of patents, since they are so costly to obtain and maintain. But it is certainly not true of copyrights, which are extremely creator-friendly: copyrights arise automatically upon fixation of an original work in tangible form; they remain the creator's property unless they are created by employees on the job or are assigned in writing; they are cheap and easy to register; and the damages awarded to the creator for infringement (particularly infringements occurring after registration) can be significant. HoGo: What are some useful resources that are available for individuals and smaller organizations to help protect their IP? Howard Zaharoff: The government offices that oversee IP have useful websites containing both excellent content and access to registration (and other) services. See www.uspto.gov (for both patents and trademarks) and www.copyright.gov (for copyrights). www.copyright.cornell.edu also has useful copyright resources.